Since yesterday, January 29th, was National Puzzle Day, we decided it would be fun to carry on last year's tradition and create an EMA-themed crossword puzzle for you to enjoy. So today, celebrate with us by testing out your EMA knowledge and “get your puzzle on.” When you are done, share the puzzle love by posting a pic to twitter and tagging #EMACrossword by February 3rd for a chance to win an EMA Swag Bag! Don’t have a twitter account? No problem! You can email the image to emamarketing@ema-eda.com to enter as well. 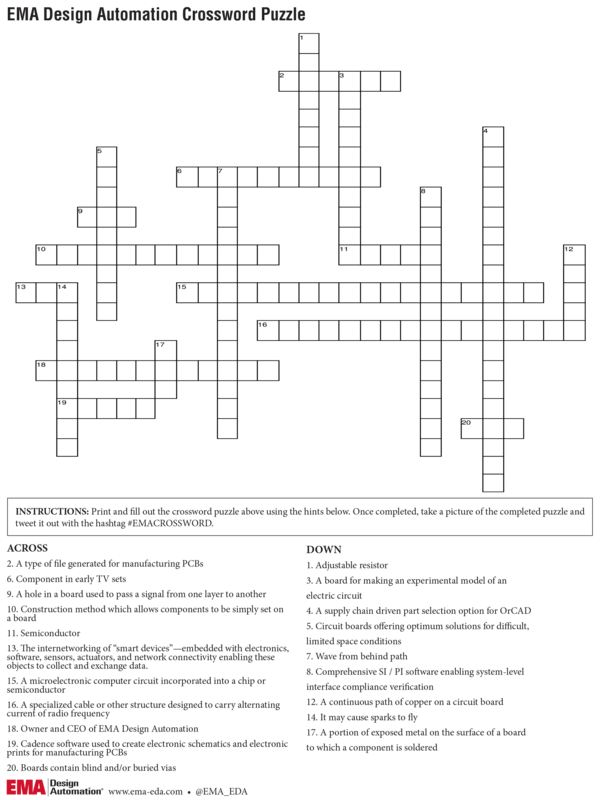 Click here to download the PDF version of the crossword puzzle.